Three Centuries of American Prints: from the National Gallery of Art, National Gallery of Art, Washington; National Gallery in Prague, Prague 1; Antiguo Colegio de San Ildefonso, Mexico City; Dallas Museum of Art, Dallas, 2016 - 2017, no. 75. Flint, Janet A. 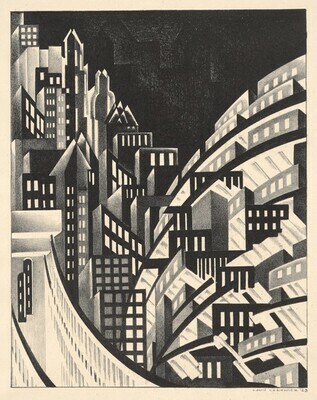 The Prints of Louis Lozowick: A Catalogue Raisonné. New York: Hudson Hills Press, 1982, no. 6.